Having been saddled all my life with a name that no one can spell or pronounce, I am always curious about how people get their names – especially, of course, the unusual ones. In July, 2003, the New York Times ran an article about what people are naming their kids, based on the Social Security Administration’s data on popular baby names; the writer, expecting her own child, used this as the basis for research on what not to name her baby. The upside of having an unusual name is that you’ll probably be the only person of that name in any given group. 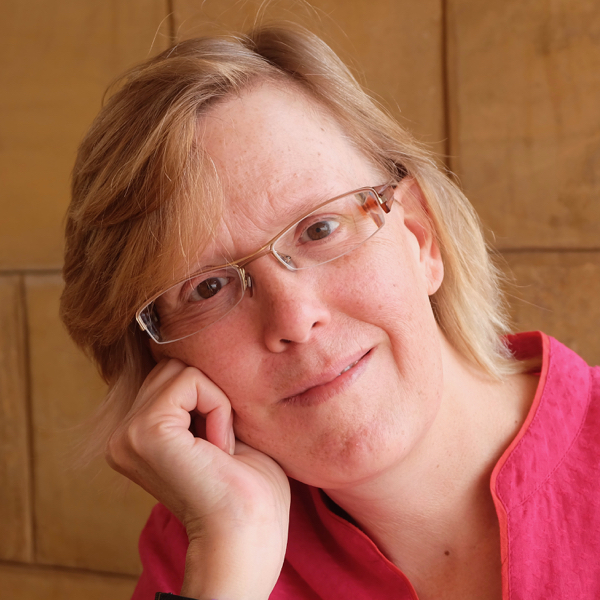 At UC Santa Cruz, I learned that a girl in my college was called Deidre, which she pronounced “Day-dree” (I’m Deirdré pronounced “Dear-druh”) – close enough for me to get excited about it, though she wasn’t impressed. Things got very weird when we ended up sharing a house the following summer, along with a third woman (named Mary). Since no one could spell or pronounce either of us, poor Mary never knew who the phone messages were for. If you’re Italian, you most likely know someone else with the same name as you. According to my friend at Zoomata.com (and my own observations), most Italians have traditional names out of the calendar of Catholic saints, though they may get them by way of a grandparent or other relative. (The exceptions to the saints are classical Roman names such as Olivia, Livia, Lavinia, Massimo.) This gives parents a very limited pool of names to choose from, and non-standard names are rare. The result is that, for any given name, you probably know a bunch of people who have it. Enrico and I can never refer to “Paola” without having to qualify which of several Paolas we’re talking about. Enrico himself is in the fortunate category of names which are easily recognized and not considered weird, but uncommon enough that you probably don’t know more than one. Well, maybe two. When we had to choose a name for our own baby, we had several criteria to consider. We didn’t know that we were having a girl (we had asked not to be told, and when people asked us “What are you having?” we answered: “A baby.”); nonetheless, by some instinct, we put a lot more thought into a girl’s name than a boy’s. We wanted a name that would be easily spelled and pronounced by both sides of the family, and that might somehow signify the baby’s multiculturalness. Among others, I considered one of my favorite Indian names, Gayatri, but Enrico was afraid that would be too weird for Italy, though I argued that it’s similar to a classic Latin name, Gaia. I initially wanted to choose a “Rose” based name, to honor my beloved aunt Rosie (Roselyn), who had been a friend as much as a relative, and an important influence on my personality and attitude. But Enrico didn’t like the Italian names Rosalia or Rosalinda – he said they sounded old-maidish. (Perhaps they were more southern Italian and/or old-fashioned). We were reading Gone with the Wind at the time; we used to read together, alternating chapters so that Enrico could hear my English pronounciation, and practice his own with corrections from me. Yes, hang on, this is relevant. When the film “Gone with the Wind” reached Italy just after WWII, the heroine’s name was translated as Rossella O’Hara. The name Rossella, meaning “little red” (originally applied to redheads) already existed in Italy, but was extremely rare until the film came along. Then it suddenly became popular, so there is a generation of Rossellas, just over 50 years old now. “Rossella” seemed like a good name for several reasons: being best known as the Italian translation of a very American character, and that character being a strong, resourceful woman (though she certainly has her flaws). I thought it would be fairly easily spelled and pronounced by Americans, though that has proven not to be true; everyone wants to spell it with only one S, and pronounce it accordingly: Rozella. It’s a long O and a soft S: Rohss-ella (don’t forget to roll the R!). Rossella herself generally tells English-speakers to call her Ross (rhymes with “Boss”). The name, after a period of popularity in Italy, went into decline again and isn’t used much these days, so we thought our Rossella wasn’t likely to be confused with any other Rossella in her age group. This, too, proved not to be true: there was another Rossella in her elementary class. 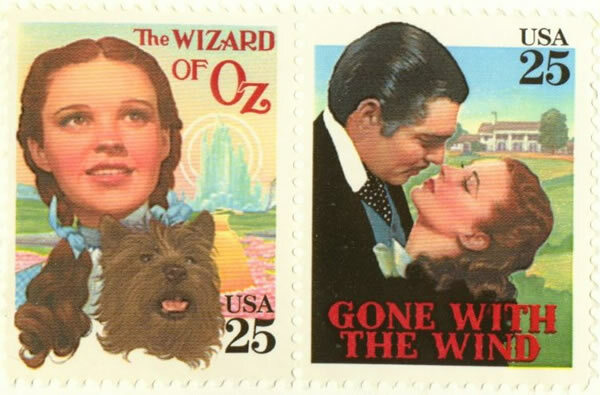 ^ top: 1989, the year of our daughter’s birth, was the 50th anniversary of the releases of Gone with the Wind and The Wizard of Oz; these commemorative stamps were issued in the US. This entry was posted in Italian language and tagged baby names, Italian culture, Italian language on August 28, 2003 by Deirdre Straughan. I know another (Diedre) (pronounced Dee-dray) which is close to your name. It took me awhile not to call her Deirdre. I only knew one Josh when we named our first born. Noah was a one of a kind till we moved and there were two others in his seventh grade class. Welcome has retained his originality.